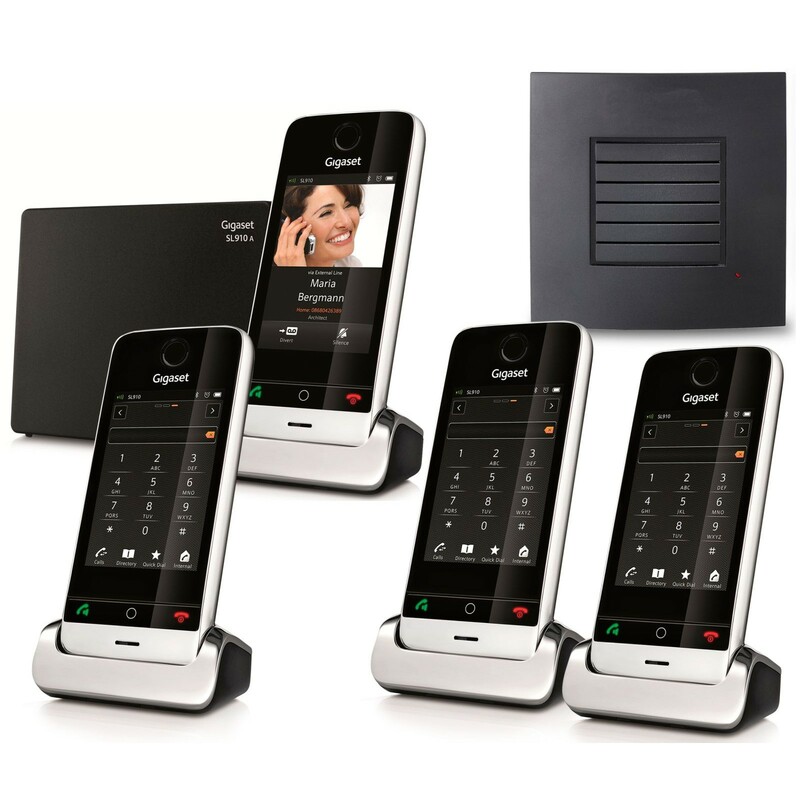 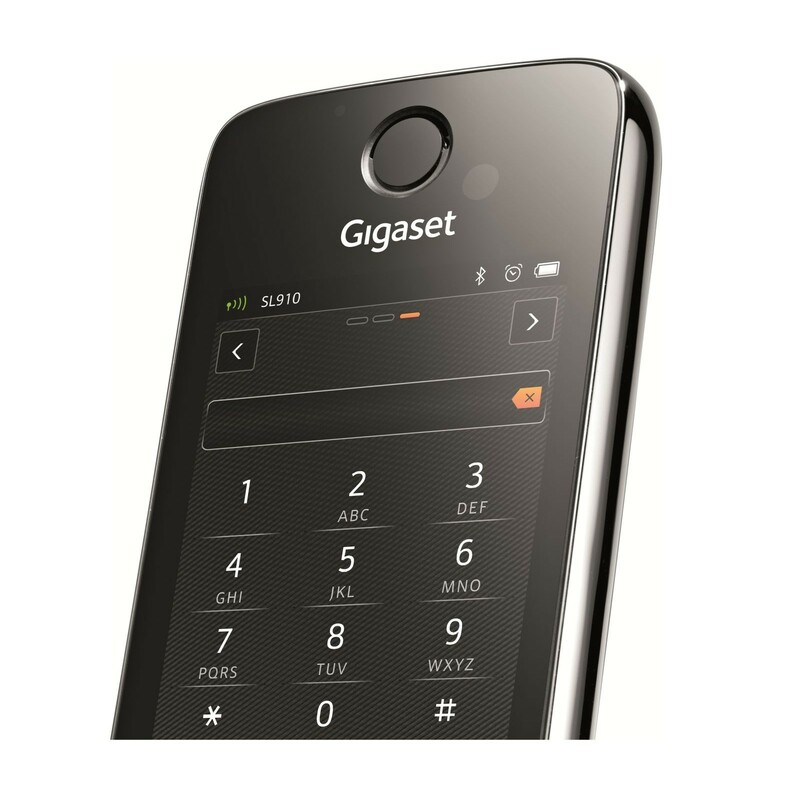 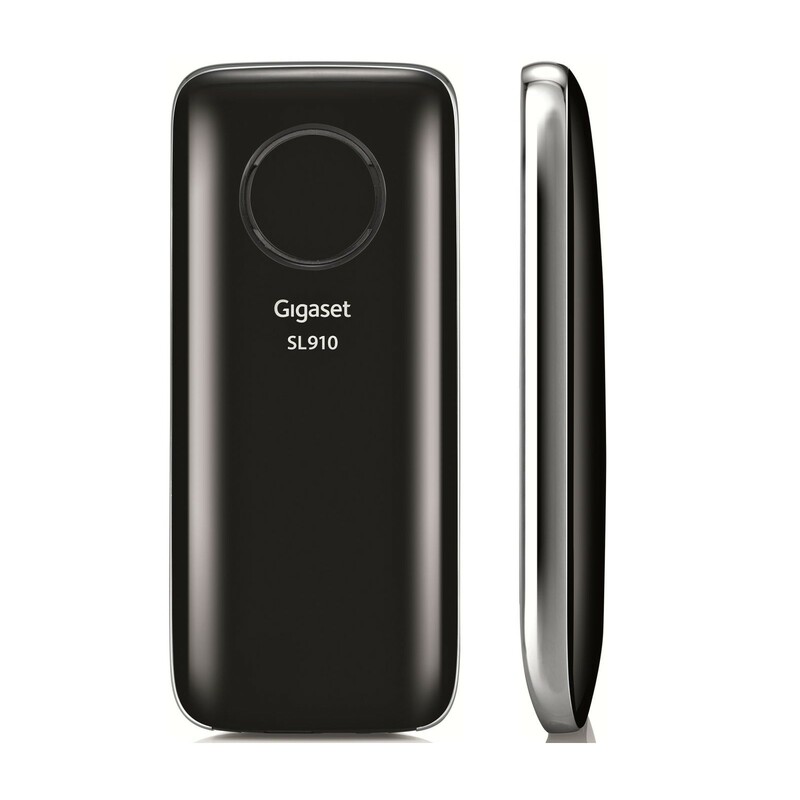 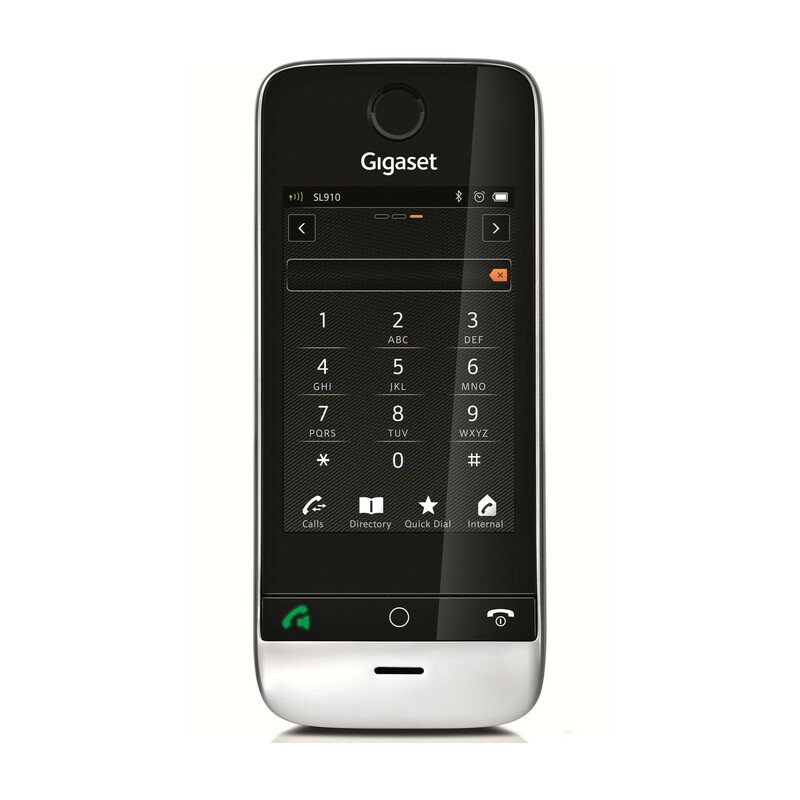 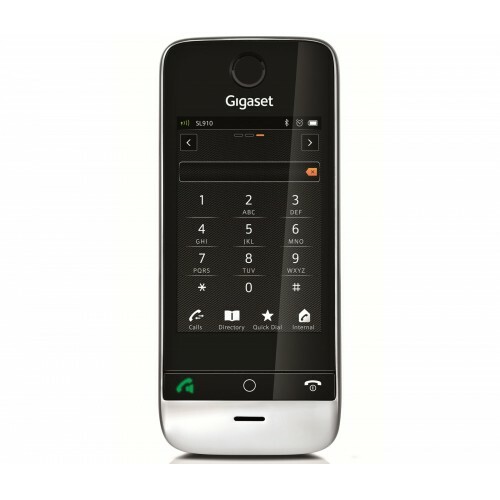 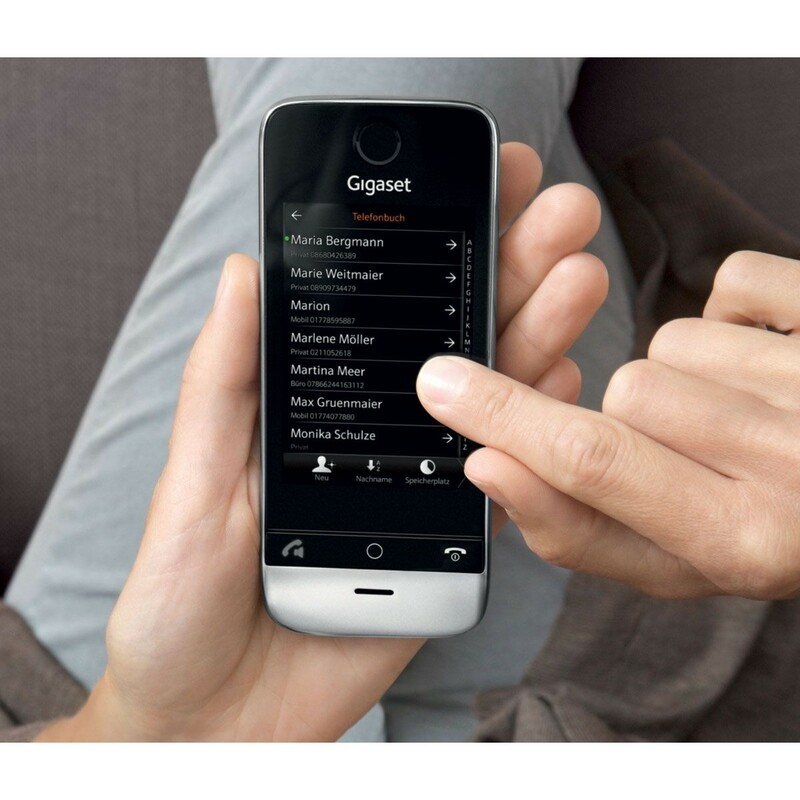 The Gigaset SL910A Quad is a premium set of cordless home phones with a genuine metal frame and charger. 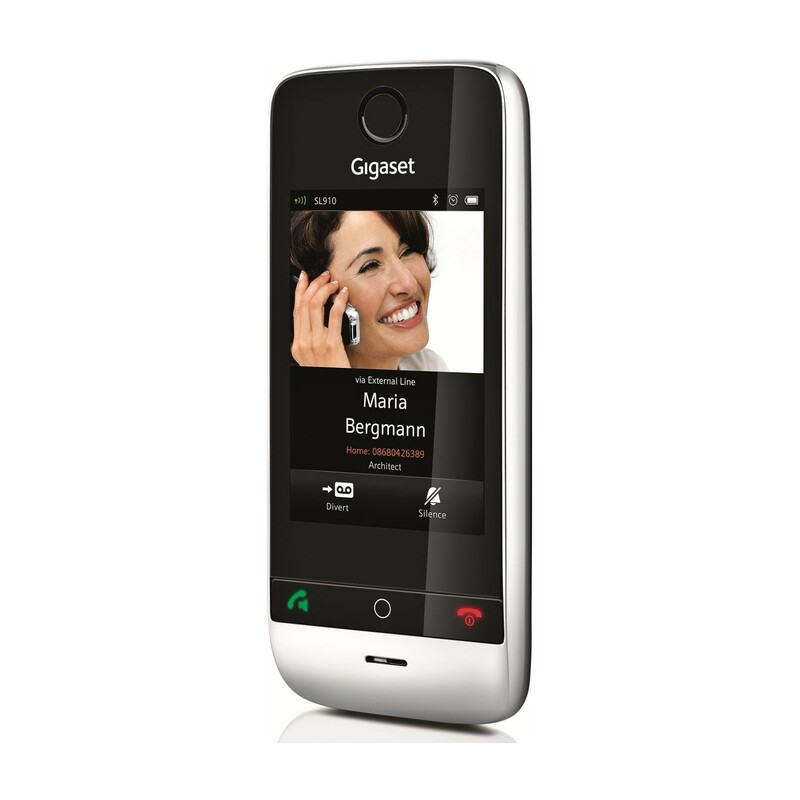 The stylish and eye-catching design is complimented by a wealth of intuitive features, great sound quality, and ease-of-use. 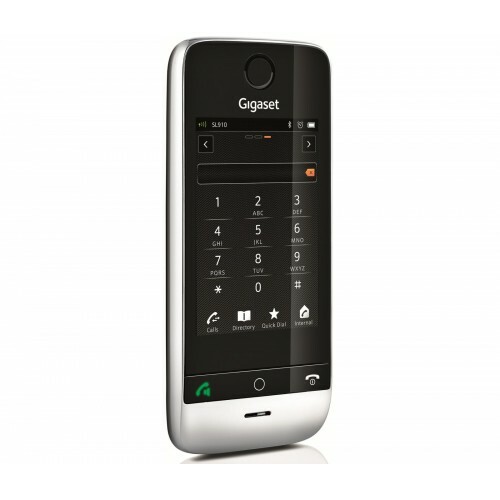 And this quad set comes with an RTX DECT repeater so that you can experience up to twice the cordless range you would otherwise. 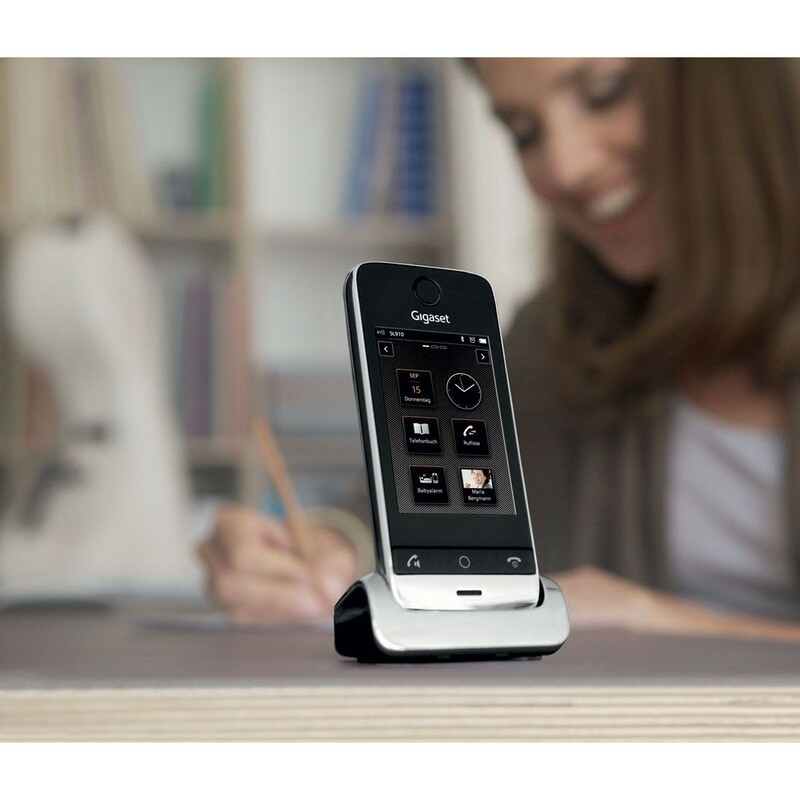 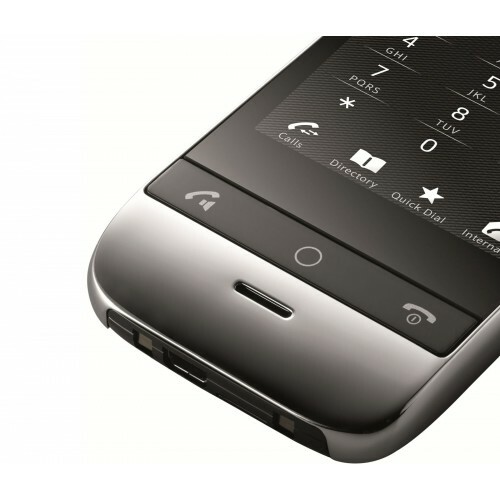 Further benefits of the SL910A include the impressive 3.2” touch screen on each handset, integrated answering machine with up to 55 minutes recording time on the base, and impressive battery life.